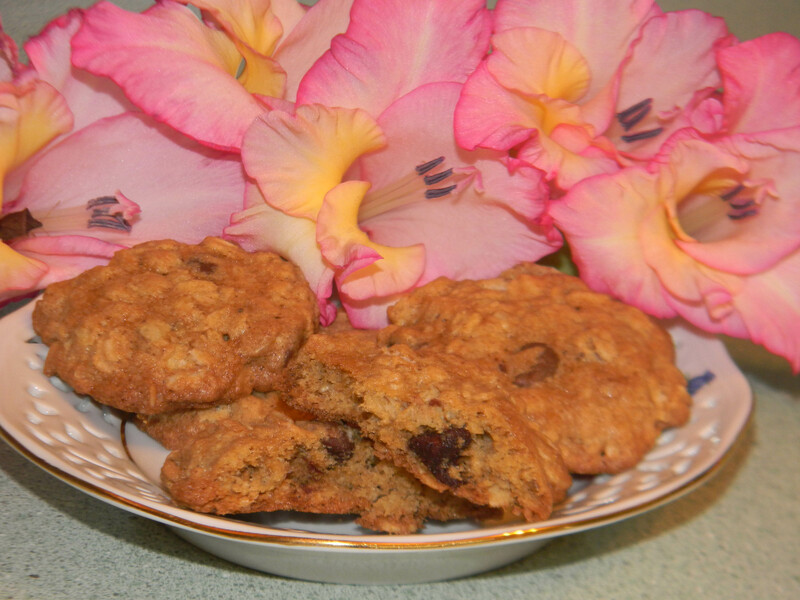 Today was the day to try out the recipe I found on Gluten-Free Goddess for oatmeal chocolate chip cookies. I looked at the oats in my cupboard and then decided to do a little research on oats and gluten-free cooking. I discovered that if you truly need to be gluten-free you must purchase gluten-free oats. This ensures that the oats are not grown around grains and that they have not be processed at a mill that mills grains. I also learned that even then some with celiac disease can have reactions to oatmeal. What most doctors suggest is that if you are going gluten-free don’t eat any oats for at approx. 2 years and then try to introduce it. These cookies were yummy and moist. Here is the nutritional info that I input into Sparkpeople.com. This is based on 58 cookies. I use a small scoop when I bake my cookies. This entry was posted in Food, Food and Drink and tagged baking, cookies, gluten-free, Gluten-free oatmeal chocolate chip cookies. Bookmark the permalink.